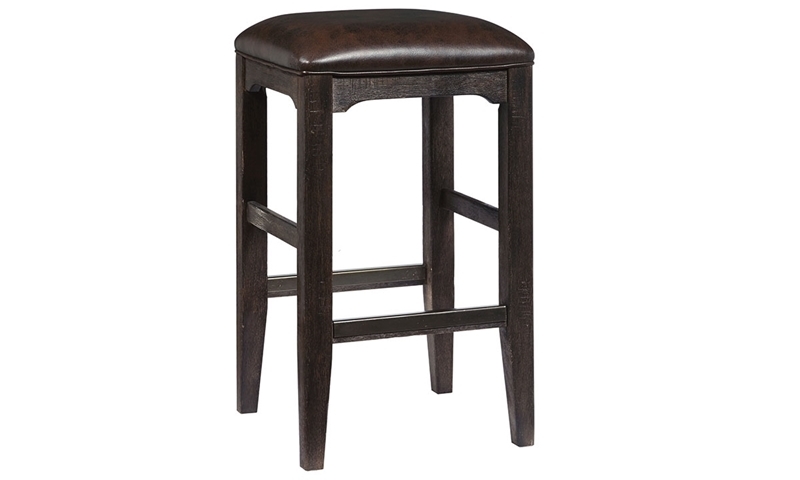 Pull up a seat and partake in the evening’s conversation with the Bernard counter height stool (barstool) from the Oozlefinch bar collection. Named after the road that runs inside the walls of historic Fort Monroe, this piece showcases a truly timeless design. 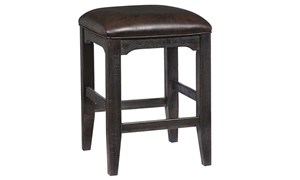 Its solid wood frame in a distressed stout finish and comfortable seat upholstered in a dark leatherette create a casual yet sophisticated stool suitable for many different settings.